Here's an easy quiz. 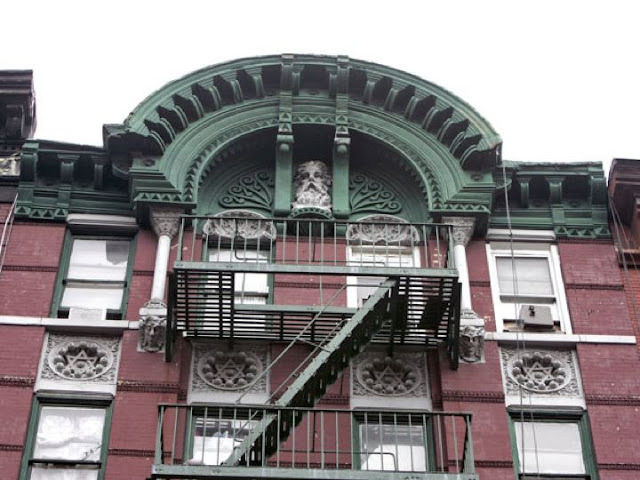 You'll find the cornice bust below on Broome Street. 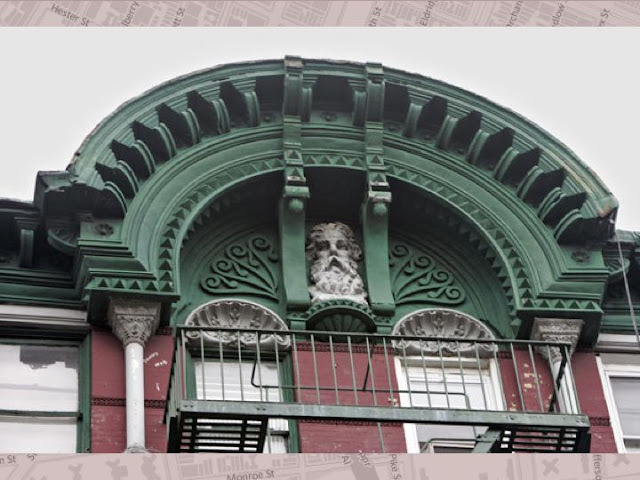 It was built in the 1890's when the neighborhood was largely Jewish and Italian. 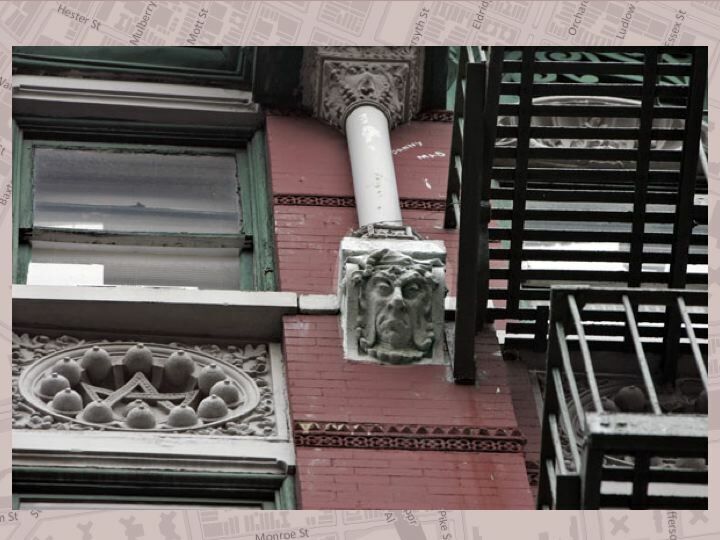 It's the largest bust on the Lower East Side. Who is this man with the flowing beard? Well that was easy. Obviously, it's Moses. But why is it obvious? It isn't to historians, because...they're historians. When you first see this from the street, you immediately recognize Moses, but maybe you wonder, what's he doing there? Was this a religious building? What's the back story? When you get home you google up the address and look for clues. You access the social historians, the preservationists, the architectural historians. They all concur. There's no evidence that this is Moses. Usually it's "The bust may be a representation of Moses, but we cannot confirm." "We don't know for sure who is represented." "It may be Moses or it could be Abraham." You turn from your computer thinking, if the authorities don't know who it is, then it must be quite a mystery. I thought it was Moses, but now who knows? This is where professionalism misleads. If there's no documentation, the historian can't commit to speculation. That's what historians are for. Reliable research. But notice, research does not equal truth. It's just one means to it, and not always the most reliable. So first, let's settle the facts. It's Moses. How can you tell? Because it doesn't say "Moses" on it. Because it's obviously Moses, and anyone placing a bust of Moses would know that everyone seeing it would recognize it as Moses without a name. But what if it wasn't Moses? Well, consider if it was the landlord's cousin Seymour. You can be damned sure that Seymour's name "SEYMOUR" would be up there because Seymour and his whole landlord family would know that if "SEYMOUR" weren't up there, everyone looking at the bust would mistake it for Moses. 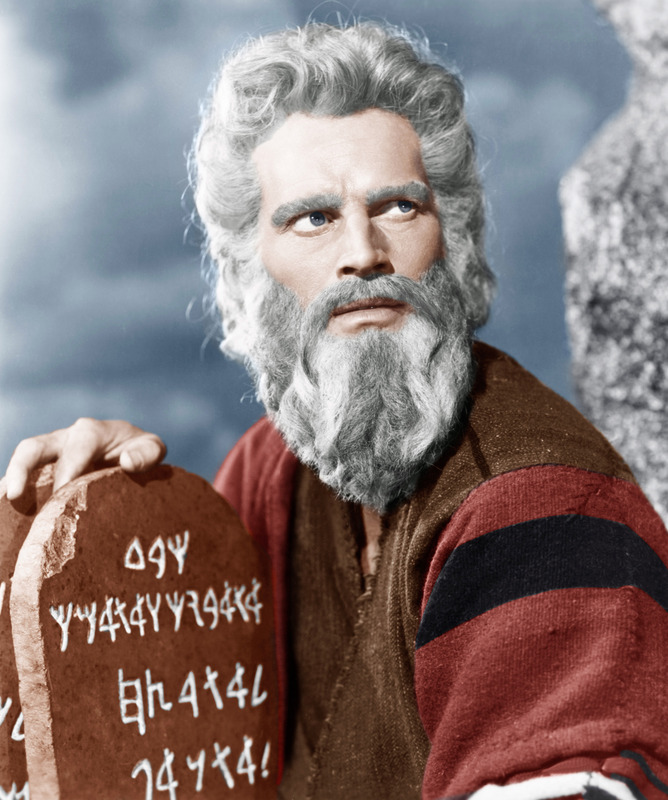 So the fact that there's no record of it not only doesn't cast doubt on Moses' identity, it substantiates that the bust is Moses. The absence of record is the evidence. But what about Abraham? Couldn't it just as well be Abraham? No way. When you think of Moses, what image do you see? Wise-looking, dynamic old man w/flowing beard. 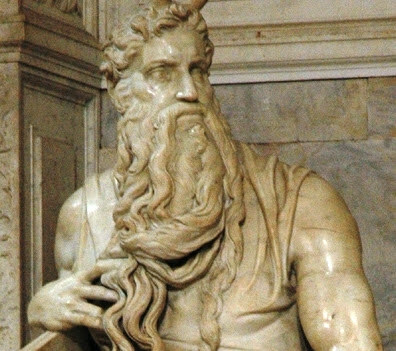 There's a ton of iconography for Moses and it's all wise, dynamic old man w/flowing beard. This is not Charlton Heston's invention or Cecil B. DeMille's. It's all over the Renaissance, and the most famous, Michelangelo's, has the same sideward glance as 375 Broome. Now, when you think of Abraham's face, what image do you see? Um, nothing. There's no facial iconography for Abraham and for good reason. Abraham's mythic, not heroic. Everything about him is beyond the human and not even quite humane. He's somewhere beyond the human scale. His faith is an ideal aspiration, not a graspable possession. No father wants to be Abraham, and you can be damn sure no son wants Abraham as a father. Compare Moses. He abjures his privilege, power and wealth in the establishment culture to go seek out his Jewish roots (every assimilated Jew will resonate with this one), returns as defender of his people to speak truth to power and lead his people in victory. And he's human -- he stutters, makes mistakes, and pays for it by never seeing the land he brought his people to. What a story! Who doesn't love Moses? Who doesn't want to be just like him? He's the rock star of the Old Testament, and the moral, humane center of it. The only hero comes close is Esther. David is cool, but what a mess that man is. Nope, Moses is the model. It's worth reflecting that it actually wouldn't matter if the landlord wanted it to look like Seymour. It wouldn't matter if the artist used his brother Irving instead of Seymour as a model. It wouldn't matter if, after it was unveiled, the four of them bickered over who it really was. What matters is that the bust had no name, so it was given to the viewer in this culture to decide, and that's going to be Moses. There are multiple truths. The answers you find depend on the questions you ask. The question, "Who is it really?" hides a bunch of assumptions that research alone can't tease out. Now tell me that man isn't your angry pharaoh dad who totally disapproves but's got to give you grudging respect. You win Moses. Next up, don't believe the know-it-alls.